I am a charity law specialist and I act as both trustee and advisor to a wide range of charitable organisations, including independent schools, as well as social enterprises, on a national and international basis. I advise on charity registration, restructuring, governance and constitutional issues, trustees’ duties and responsibilities and all aspects of charity law. I am co-author of "Tolley’s Guide to the Charities Act 2006". Helen Harvie of Barlow Robbins LLP advises charities, independent schools and social enterprises across all facets of charity law. Sources say she is "very helpful and knowledgeable." 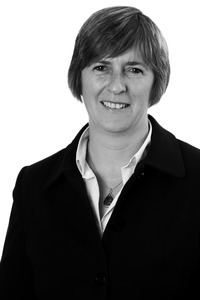 Helen Harvie of Barlow Robbins LLP has long-standing experience advising on governance and structural issues. She acted for John Beane's Charity on its incorporation, following the merger of three separate organisations.